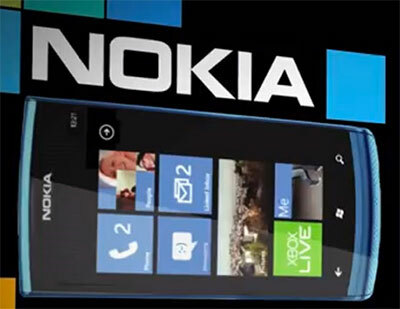 Nokia is to release limited edition “Batman : Dark Knight Rises ” Lumia 800 phones on the launch of the movie. Dates of July 20th 2012 is been predicted for the Dark Knight Rises release so we might see the phones roll out at mid 2012. But thats not all, what makes this LIMITED EDITION is that , only 40 pieces are going to be availble for sale. And chances are very narrow unless you are a die-hard batman fan and would love to have the amazing nokia lumia 800 with a laser-etched or curved Batman logo as the icing on the cake . The official packaging comes with a Black Batman themed paper box and probably customized multimedia contents and accessories, silicon cover casing or a black charger. Here are some photos of the Lumia 800 Batman edition. Nokia N8 continues to be the best camera mobile phone on the market even today after its release back in April 2010.
the app that allows you to take multiple shots at set intervals, “sewing” them later to create TIME LAPSE. Here is an example of time lapse , done by XcentrikEgocentrik. Nokia N9 – Hardware Reviewd! techin5official posted a hardware review of the Nokia N9 in youtube recently. Heres a depth review of the Meego 1.2 Device. The Nokia Lumia 800 has hit the shops and if you’re a proud new owner, follow these tips on how to get your new phone up and running. Once you’ve fitted your microSIM card in the top right of the phone (refer to your manual if you need help with this), you’re ready to power up the phone. Press the third button down on the right-hand side of the phone – under the volume buttons – and go through the time and date set-up. You’re now ready for our top five tips. Transfer your contacts to the Nokia Lumia 800 from another phone. From the homescreen, slide your finger across the screen to the left, this will bring the Applications list into view from the right. Select the Contacts Transfer app to import friends, family and colleagues to the People Hub. The transfer uses a Bluetooth connection so you’ll need to turn this on in your other phone first, then continue with the process on your Nokia Lumia 800. Your new phone and old phone will talk briefly and ask for confirmation that you want to pair them. Pairing complete, your new Nokia Lumia 800 will ask if you wish to receive your contacts. Select yes to start the transfer. After a few seconds – depending on how many contacts you have – your new phone will now host your contacts in the People Hub. Connecting social networks to the Nokia Lumia 800. Navigate your way to the Applications list again and locate the Settings icon, from here select email + accountsto add an account. Select from either Facebook, Twitter or LinkedIn from the list provided to enter your usernames and passwords. If you have all three accounts, then just repeat the process for each one with the relevant account information. Completing this step updates the details of people in your People Hub, automatically merging their online profile with the offline one you’ve already saved. Setting up email on the Nokia Lumia 800. The process is identical to setting up your social networks. However, when you’re presented with the list of accounts, choose from Windows Live, Outlook, Nokia Mail, Yahoo! Mail, Google or any other POP/IMAP account. Sign in with your credentials and you’re ready to send and receive emails. Set up SkyDrive on Nokia Lumia 800. SkyDrive is a free online storage service offered by Windows Live that provides you with loads of online space, but you’ll need to sign in with your Windows Live ID to access it. This means that as well as the onboard 16GB of memory, you can use cloud storage to hold all your photos, videos and files such as Word, Excel, PowerPoint and OneNote. You can also access these files on a computer, so it’s available wherever you are. Mobile, or not. Reorganize the homescreen on Nokia Lumia 800. By default, the homescreen layout will suit most people. The most important Live Tiles are located at the top of the screen. But you can reorganize them how ever you like. For example, you may want to place the large Pictures tile towards the top of the page where you’ll see all your photos play in a slideshow on your homescreen. To move tiles, find the one you want to move and press and hold it. That tile will now float above the rest, waiting for you to find it a new home on the screen. Move it about and drop it where you want, confirming the place by pressing the background somewhere.